Sunday Night, March 3, at the Turning Point. Doors will open at 5:30 pm, with the meal to begin at 6 pm. Cost is $10 per person in advance and open to high school kids and older. Who’s marriage are we celebrating? Come and see. 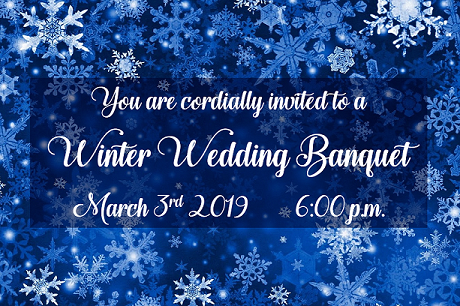 This evening will be in the long tradition of our annual fun spring banquet, and everyone is invited to join us for the celebration. There is a sign-up sheet and envelope for money in the lobby at church. Feel free to contact the church office if you have any questions.